Discussion in 'Tarantula Pictures' started by Dragondrool, May 19, 2018. 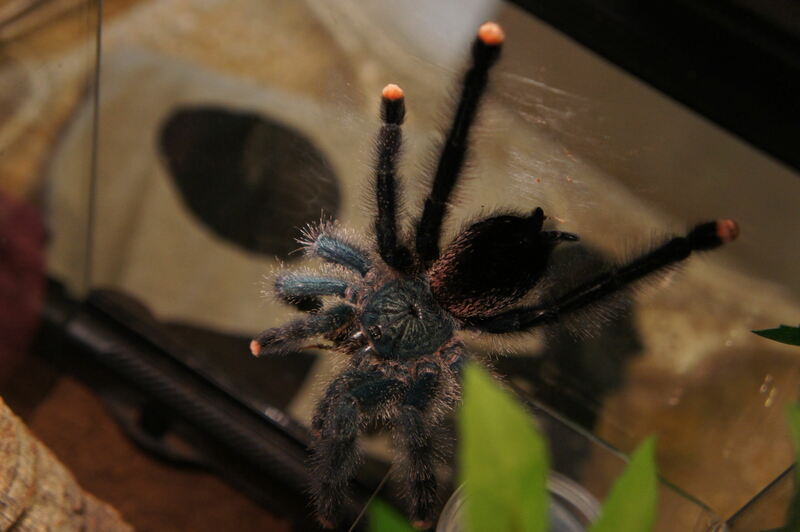 My first ever tarantula is an A. Avic, Demeter. 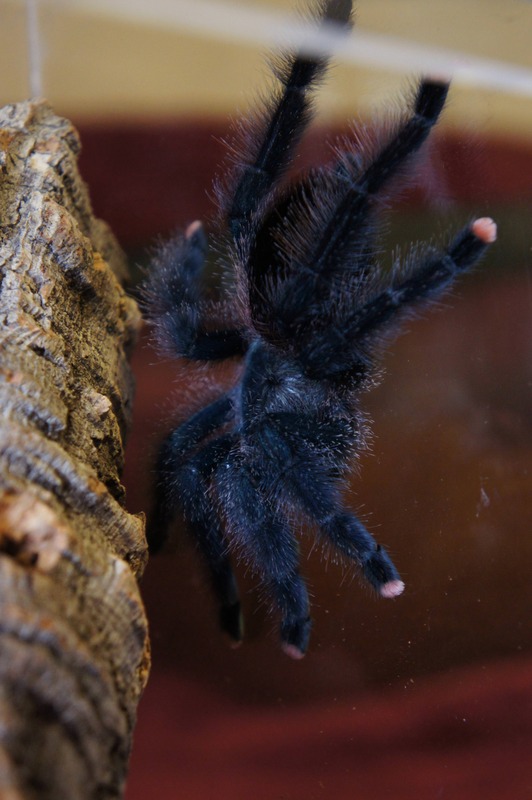 I absolutely fell in love with tarantulas after that but especially avis I'd LOVE to see pictures of your avics if you have some! I know what you mean, I love the way they high step. It looks so cute. I have two, one 2 1/2” and a 1/2” sling. Avic avic enjoying her snack! 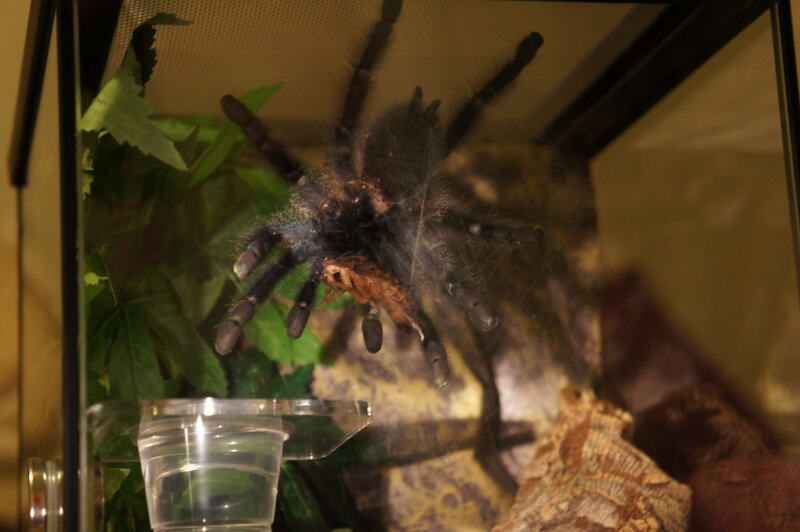 Freshly molted, he/she is at a 5'' leg span. Tried to sneak up on him/her so this was the clearest shot I could get haha. New here but thought id throw mine here too. 3" avic avic , i caught having a drink ,how cute. And my 2 2cm avic peru purple slings. That first pic kinda worries me as I see a terrestrial setup and not an arboreal one. Avics should have plenty of height with lots of leafy clutter towards the top. It may just be that I can’t see the entire enclosure though. All my avics are in aborial set ups. I think you mean the second pic which yes it apent the night in a critter keeper due to a bad order that came over 2 days. The spider first then the encloser the day after unfortunatly. The first pic where she is drinking you can see its an aborial just not the leafage and bark its out if frame at the back. Good deal man! Actually it was the first pic I was referring to as I see a hide on the bottom of the enclosure. But great to know they are all in arboreal setups! !